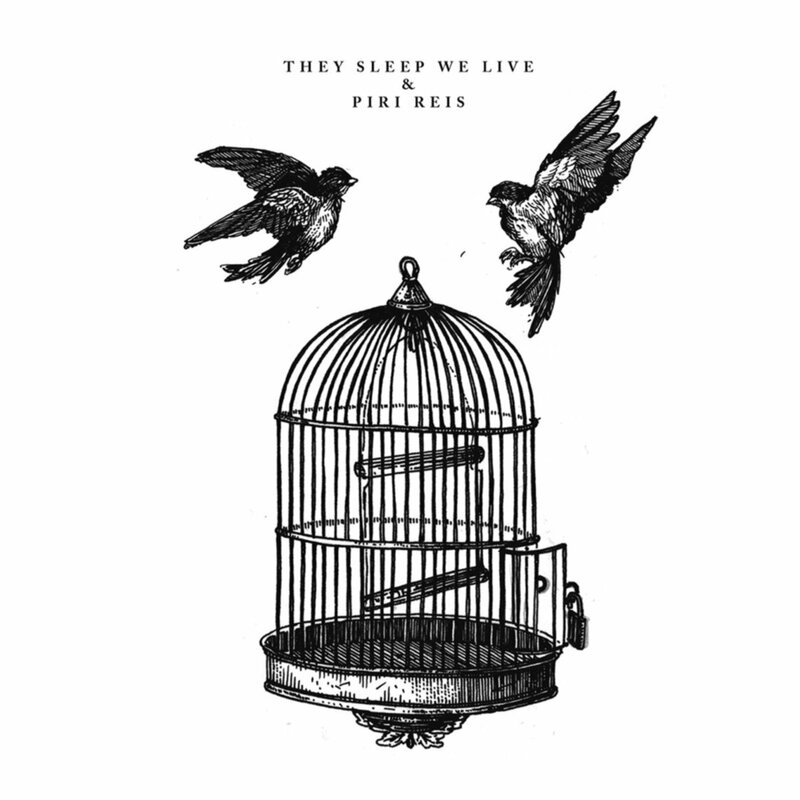 I'm a bit of a celebratory mood this evening and thought I'd spend it checking this little release from Malaysia's Piri Reis & Germany's They Sleep We Live (RIP). It was released in September as a one-sided 7" and features three quick-fire emoviolence/screamo songs. Piri Reis has been making fast & loud emoviolence know for about two years (or maybe more). They've released a demo and splits with both Coma Regalia and Child Meadow. 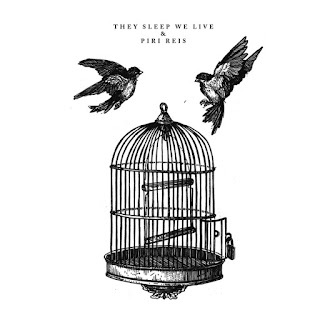 They Sleep We Live started in 2014 and called it a day in February of this year and their last ever song appears here. They previously released a split with Vi Som Alskade Varandra Sa Mycket and a one-sided 12" EP. The split was made possible by no less than eight DIY record labels, whom I'll post links to below the review. Piri Reis start off with the ridiculously short Lend Me Your Life, Mine Is Kaput. It goes from screeching feedback, to atmospheric riffs, to utter chaos in the space of about thirty seconds. The screams are high-pitched and the percussion flails, while the guitars try and retain some melody amongst it all. Meranduk Ke Laut, Merekah Ke Danau is a lesson in how to fit a silly amount of music into no time at all. At barely a minute-and-a-half, Piri Reis changes mood, pace and allows their music to swirl around in masterful fashion. They Sleep We Live’s parting song Fire Walk With Me is equally as violent as the two numbers from Piri Reis, to begin with. They’re slightly more restrained tempo wise yet they exhibit the same level of raw emotion. They make use of melody more obviously, especially from what sounds like an organ (I think). The rest of the instrumentation is more atmospheric, while the vocals flit between all-out screams and old-school spoken word. Both bands are excellent at what they do. Piri Reis with their rapid violence and They Sleep We Live with their more sensitive screamo. Musically a lot of fun and while short, it will leave an impression. Thank you so much for the post! Bands rip!